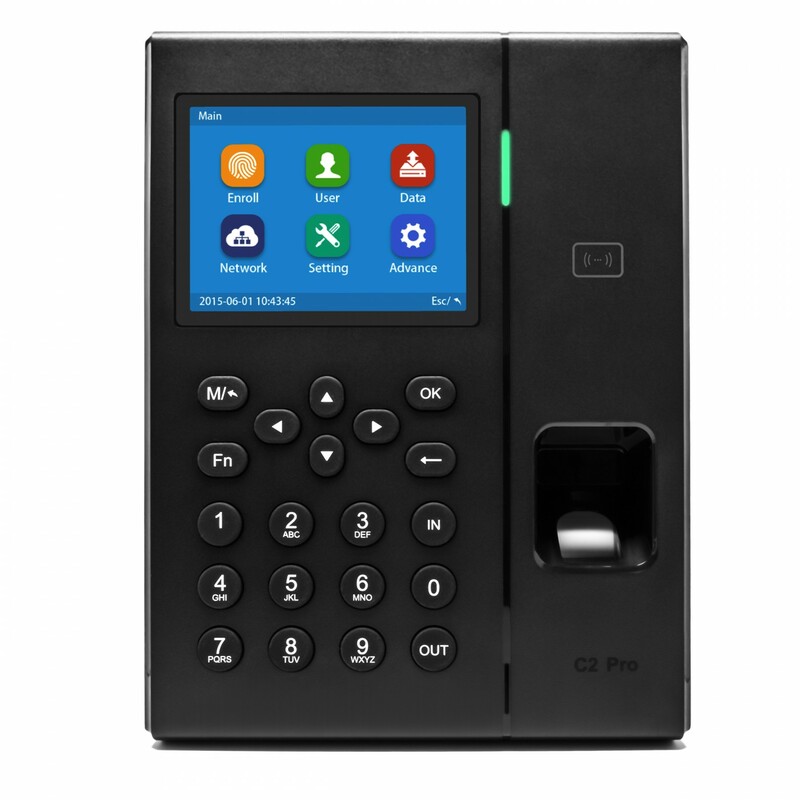 Our top of the line CR-C2 Pro WiFi Fingerprint Time Clock utilizes state of the art biometric technology while simplifying your accounting and payroll. 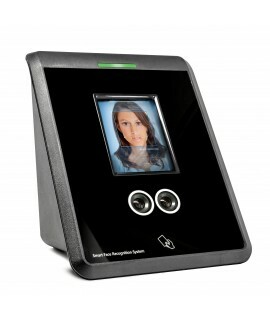 High performance biometric Time Clock features a 3.5" TFT Color Screen and a Linux operating system. 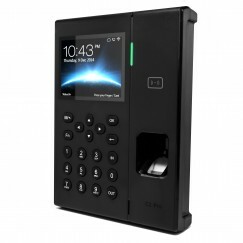 Loaded with features (WIFI connection, bigger and brighter screen, external bell connection) our CR-C2 Pro time clock is easy to use and very reliable. 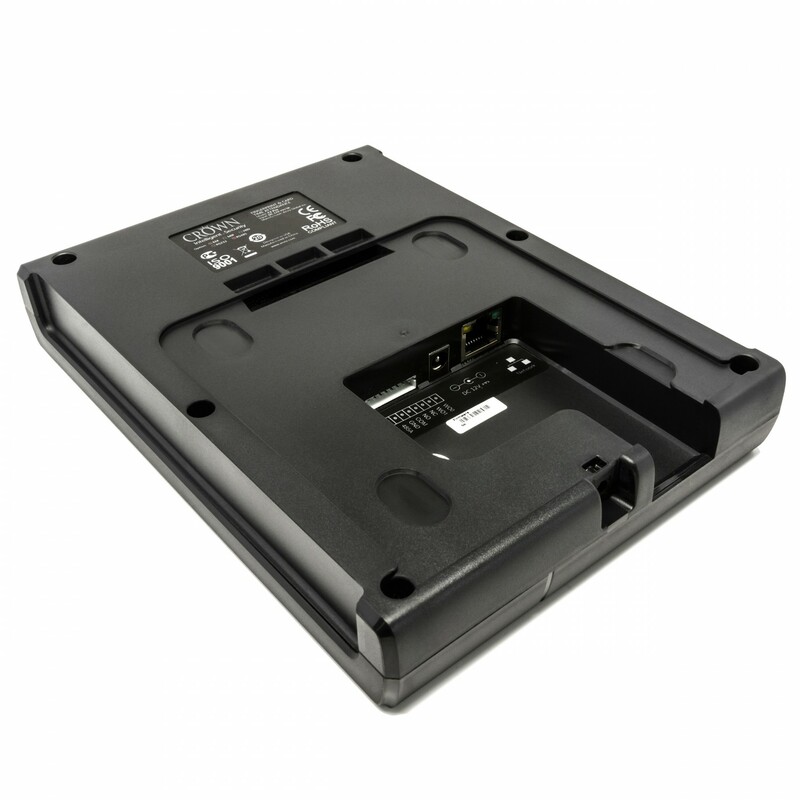 Integrated WiFi module for wireless connection. Accepts up to 2,000 users. 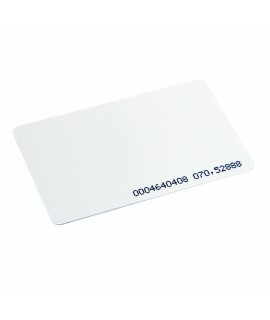 Fingerprint / Proximity Cards / Password identification. Samsung 3.5" TFT True Color Display. USB Flash Drive or TCP/IP Connection. 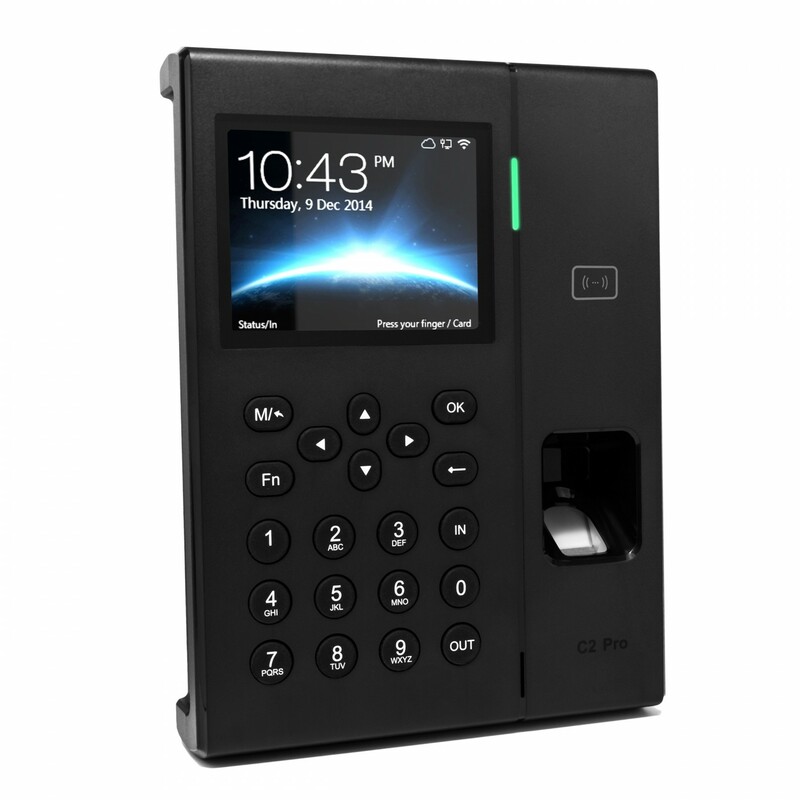 CR-C2 Pro is the leading wireless (WiFi) fingerprint time clock, designed for ease of use. Eliminate "buddy punching" risk while simplifying your accounting and payroll. 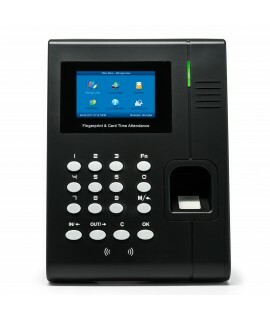 This high grade model features a Samsung 3.5'' TFT Color Screen, a Linux operating system, and is designed for 24 hours continuous operation. Equipped with a highly efficient dual-core 1G processor, the CR-C2 Pro is easy to use, extremely attractive and very reliable. 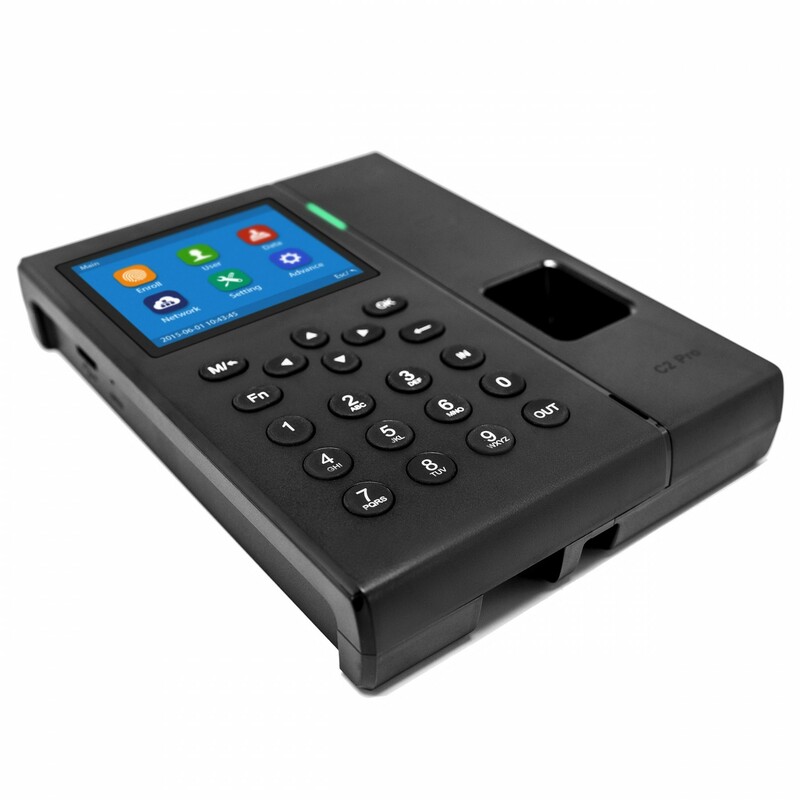 With a storage capacity of 100,000 records and 2,000 users, CR-C2 Pro is perfect for small to medium sized businesses. 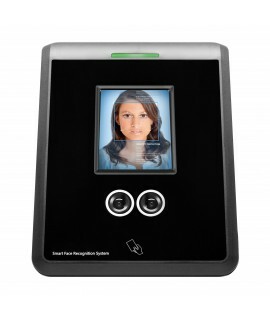 The operating system utilizes an advanced algorithm with high dependability and accuracy, which enables a fast identification speed of less than 0.5 second per user. 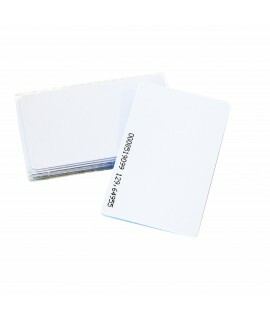 There are administrative measures to prevent unauthorized access or tampering with the records, and each user can enroll using proximity cards or a password, if preferred. Finally, the WIFI lets you connect to your Ethernet network without using cables! 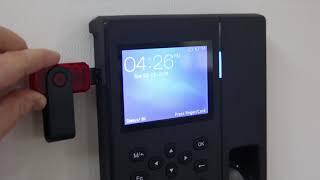 Verification Mode: Fingerprint (1:N, 1:1), Password, Card. 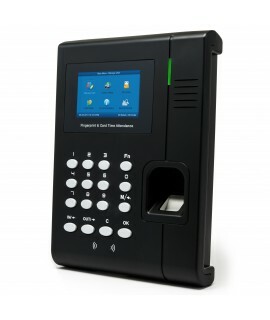 Fingerprint capacity: 5,000 (1:N), 200,000(1:1). Dimensions: 5.5" (W) x 7.5" (H) x 1.25" (D). Easy to order and shipped quickly. The WiFi feature is nice. Crown Security Products is a great place for time clocks.